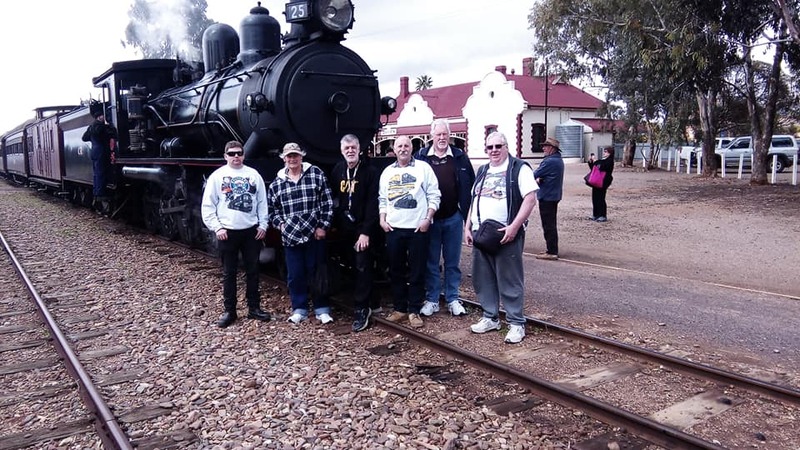 Well some time back the 12″ to the foot guys from Pt Augusta invited us up for a weekend doing train stuff and merriment. So on Thursday 30th August Don, Rosslyn and I accompanied by the Big Fella, his wife and the dog met at 10:00 near home, 4WD’s with caravan’s attached and we departed in convoy towards Port Augusta. I travelled with Rosslyn who was hosting me in his caravan. Well it was a wet and windy day and the usual fuel efficiency was way down (Don went from the usual 11l/100km to 16.2l/100km a whopping 47% increase in fuel consumption!). After the obligatory stop at Dublin for toasted egg and bacon sandwiches we moved on to Snowtown (yes, it is the bodies in the barrels town) for our first sighting and video taking which was done while sheltering from the rain. From there we travelled on to Port Augusta found the caravan park and proceeded to setup in the wind and drizzle. On Friday needed to get bigger pegs as the wind was too strong for what we had. When all done we checked out Yorkeys Crossing and caught two trains on video. Friday night Don cooked us pizza which was washed down with some nice red wine. Next morning we met the local boys Spacky &amp; Jock at Port Augusta Station for breakfast where we watched a freight roll by before taking a ride on the Afghan Express to Quorn where we had lunch and then returned to Port Augusta late in the afternoon. We were invited to Jock’s for a BBQ tea and we had an great night with an awesome spread put on by the local boys. Sunday was a serious train spotting day where we took video of six train movements. 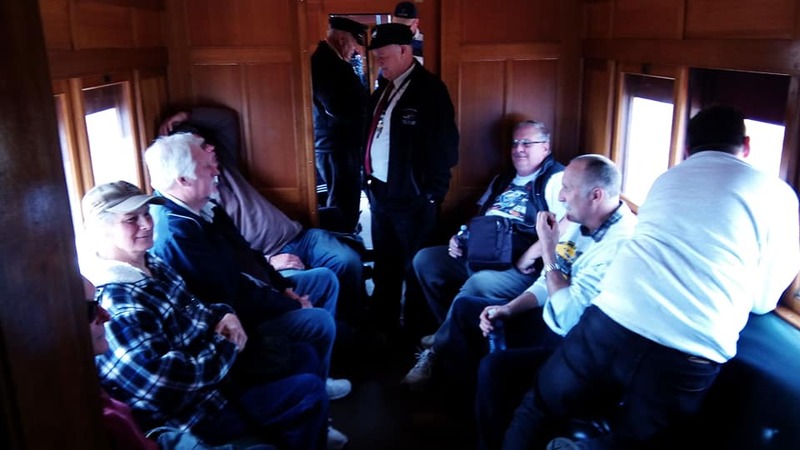 After a full day we all gathered for tea at a local hotel and were filled up with the rather large serves…..
Monday was a slower day for me as I caught two trains before being dropped to have lunch with Spacky and spend the afternoon looking at his trains and watching SP train videos. Tuesday morning we packed up camp and started heading home. Rosslyn and The Big Fella were returning home via Port Pirie so I hitched a ride with Don and it wasn’t long before he found trains to take more video of! We took video of four trains on the way home. Thanks guys for a great adventure and a fun time. The rumbles have already started about the next visit!